BlueHost, one of the most recognizable names in the web hosting industry with over 2M domain names under management, has been providing quality hosting solutions to thousands of business and personal web sites since 1996. Their "professional hosting" plan includes all the features you might need at the best possible price. Today, BlueHost is a part of Endurance International Group. If you’ve been poking around in the world of shared web hosting for long, we’re willing to bet you’ve heard of a few of the more common names: InMotion Hosting, GreenGeeks, FatCow, iPage, HostGator, etc. However, we’d also be willing to bet you’ve heard of another name, one renowned for supplying clients with superior business performance and industry-ready tools — BlueHost. 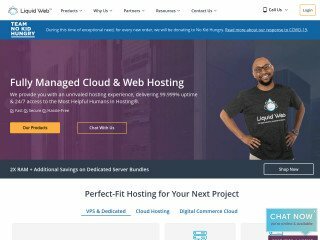 The hosting provider has been around almost as long as we have, and during that time, they’ve taken great strides towards becoming an industry force to be reckoned with. As of typing this, the services they offer are nearly without equal, but we don’t expect you to just take our word for it! 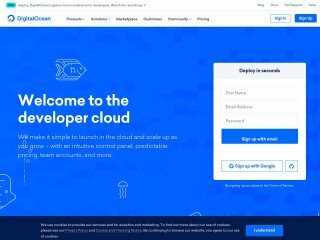 If you’ve been hoping, wishing, and waiting for a full, in-depth review of the services and features that BlueHost has to offer, then step right up, Pilgrim! You’ll find all that and more listed below, including a full rundown of who the company is. We’ll be diving into that bit first, so without further ado, head on below for our full review of BlueHost! Bluehost has been providing quality web hosting solutions to businesses and individuals since 1996. Our goal is to provide outstanding services for the best possible price. To achieve these goals we are constantly innovating and upgrading our services at no additional cost to our customers. Come and join the millions of other website owners that have already chosen Bluehost and see how we can help you with your site. Sounds like a solid line of logic, right? And for the most part—as far in as we can gather it—BlueHost lives up to the promises it makes, and perhaps even a bit more. The company is based out of Utah, and features a full roster of on-site, highly-trained technicians to handle its technology. Furthermore, the provider claims it takes unprecedented strides to ensure that you’re getting the latest in features, services and technology. And with a warehouse totaling 50,000 square feet with two secondary HQs totaling more than 20,000 square feet, we’d believe they at least have the room to meet their guarantees! 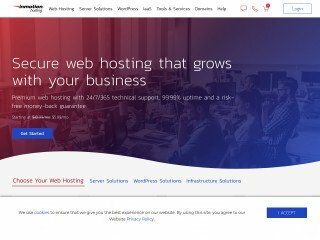 When it comes to shared web hosting, very few companies have quite the reputation (especially within the business world) that BlueHost.com enjoys. The company has been around literally as long as we can remember, and during that time period, they’ve offered cheap, high-quality web hosting to just about everyone under the sun. They also appear to have quite the focus on business and market-ready applications and hardware, making them the picture perfect host for the businessman in need of some serious bang for their buck. All of this is brilliant, if you’re taking the company at their word, but what if you need a little outside assurance? If you’re wondering exactly what kind of awards they’ve managed to earn over the years, then you’ve come to the right place. Through the years, BlueHost has done quite well for themselves. They’ve won a number of awards in a number of categories, including Best Budget Hosting from HostReview every year since 2006. 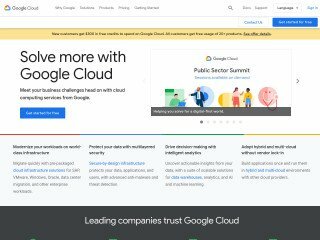 From the same reviewer, they’ve also earned Fastest Growing Company, Best Affordable Hosting, Best Cloud Computing Providers, and Best Web Hosting—albeit a few years back on that last one. They company has also earned the prestigious Best Linux Hosting award for 2016 by Customer Hosting Reviews. All in all, we’d say the provider isn’t boasting quite as many awards as we’ve seen decorating the walls of other hosts, but that could mean they simply aren’t paying as much for fake awards—you didn’t hear us say that. Either way, you can decide for yourself if their services are any good! What’s the easiest way to do that? To keep on head down below, as we dive right into the actual hosting plans offered by the company, as well as how they can benefit you and your business. Out of the box, we’d have to categorize BlueHost as “classy” if nothing else. The company’s site promises all the same sort of features and services we’ve come to expect from high-quality shared hosting providers, though with a markedly different feel than most. As stated before, BlueHost is trying quite hard to swing itself towards the business market, and it shows. Here you’ll find an emphasis on the high-quality hardware, as well as how it can help to drive your market value and web presence. Still, you’ll find all the unlimited disc space, bandwidth, email accounts, and domains you’d expect from a host of this caliber. So you’re looking to sign up with BlueHost, are ya? If so, then you’re in luck where the budget is concerned. A basic plan with the host will only cost you $2.95 a month, and for that money, you’ll be winning quite a lot of features. A shared hosting account with BlueHost comes stock with 24/7 US-based technical support, a free drag-and-drop site builder, a free domain name, support for international domain names, subdomains, a cPanel interface, FTP access, SSH access, hotlink protection, MySQL databases, and a host of other tech language and tech interface add-ons. This includes support for modern platforms like Perl, PHP5, MySQL5, HTML5, Ruby on Rails, and many more. It’s really quite the power punch package, and you will, of course, also receive unlimited disc space, unlimited bandwidth, unlimited email accounts, unlimited add-on domains, unlimited parked domains, and unlimited subdomains. If that weren’t enough, or if you’re looking for options that aren’t quite so technically inclined, then you’re also in luck. Obviously BlueHost has tended to focus more on the business needs of their consumers, but they also include a full load of site building and scripting utilities. You’ll get poll and survey software, Moodle, Tikiwiki, Drupal, Joomla, and of course, WordPress installation at the touch of a button. You’ll also obtain a wealth of eCommerce features, in case you’re looking to start your own online store. Among these are SSL secure servers, OS commerce shopping cart, Agora shopping cart, a free generated certificate, password protected directories, and OpenPGP/GPG encryption. But don’t think we’re quite done yet! No, we’re just warming up where BlueHost is concerned. You see, with their shared accounts you will also gain access to a host of multimedia options, allowing you to deliver your media to your customers with increased efficiency and better design. No matter what you’re looking to deliver to your audience, with BlueHost it appears you’ll be successful. However, BlueHost doesn’t just offer basic shared hosting. 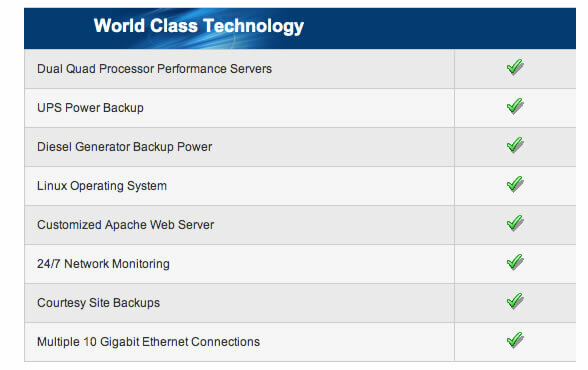 There’s also VPS and dedicated server options, which is a nice touch for the businesses looking to expand. Check out the details below. We mentioned earlier that BlueHost has taken great strides to stay up to date and efficient with their technologies and services. We aren’t just going to drop out a cliche like that and not back it up, so if you’ve been waiting to hear exactly what the company has under the hood, you’ve come to the right place. For instance, we’re proud to announce that BlueHost is rocking dual quad core processors, as well as UPS power backup. This not only increases the amount of power your site will be allowed to draw from, but also ensures that your data is protected from unexpected power failures or surges. Additionally, the company safeguards its network with a diesel-powered generator. These guys do offer one of the best affiliate programs in the game. If you’ve been looking to become a web hosting affiliate, there’s really no better place to start your search than with BlueHost. The provider offers a substantial amount of rewards, having given out nearly $5 million dollars in referral fees last year alone. So what’s the full detail on the affiliate program? Head on below the break to find out! First out of the gate, it’s incredibly easy to sign up as an affiliate with BlueHost. A few simple fields about you and your site, and you’re up and running. Once the easy sign-up process has been completed, the provider hands you the keys: A personal tracking link and banner set to refer customers with, as well as the option to create custom tracking links to manage multiple campaigns. With this, you can also view the click-through ratios of your links and banners, as well as track your clicks, conversions, and commission payments. BlueHost doesn’t want to leave you in the dark about the profits you’ll be making, and it’s quite refreshing to see an host that’s willing to keep the affiliate informed about the status of their income. But what is the income? We know we’ve been dancing around the issue, but between you, us and the walls, we’re teases like that. We’ll stop pestering you, now, and dive right into the numbers: A referral with the company earns you $65 dollars in cash, right then. That means that, for every person you refer to the site, they hand you sixty five bucks no questions asked, and it’s yours to put away immediately. Combined with hundreds of referrals, that quickly adds up to one heck of a lot of money. In other words, if you’ve been waiting to become an affiliate, BlueHost is a tried and true way to start making money sooner, rather than later. When things go wrong—and we assure you they always do—you’ll be calling the BlueHost tech support for assistance. The CGI-based help interface BlueHost is supporting comes stock with a number of features designed to make the tech assistance process easier. Firstly, there’s the guaranteed 24/7 tech support agreement which we like to see in any web host. If the host isn’t willing to be around when you have problems, we have a problem with the host. Additionally, we’re pleased to see that BlueHost offers a ticket-based tech support system, as well as a live hotline for the individual to call upon. You can also email in your complaints, as well as chat with a tech support rep directly from your computer via live chat. All of this is fairly stock, but what really gets us about BlueHost is the wealth of additional tutorials and information the host offers. For your money, you’ll get direct access to server status, as well as the knowledge base. This base contains information on everything from installing WordPress to optimizing your site for SEO purposes to uploading content via FTP. We like to point out that knowledge base does not replace competent technical support, but in the case of BlueHost, if your problem can be fixed on your side of the server, we’d be willing to bet there’s a solution somewhere in that databank of knowledge. Overall, we’re really quite impressed with the amount of forethought the provider has put into making their tech support a viable source of solutions to common problems. We especially appreciated the fact that server status and video tutorials are included. Still, there’s really no way to know how good a hosting provider is without looking at some of the testimonials. Thankfully, BlueHost has provided us with quite a few of them. We’ll be closing out with a few choice words provided to us by BlueHost themselves. When I'm shopping for a product or service, I research it to death. I recently indulged my obsession while choosing a new Internet provider. I had been satisfied for many years with [another] domain host, but my feelings changed after they outsourced their technical support overseas. I suddenly found myself speaking with people who were robot-like, often difficult to understand, and not particularly creative in finding solutions to my problems. I was also paying a separate annual bill for my domain name. I thought there must be a company that provided both hosting and a domain name for a single, reasonable price. In doing my research, I spent hours roaming the Web and reading reviews from reputable sources. I finally settled on BlueHost, which has been hosting business and personal web sites since 1996. I have been very happy with them. Now, when I call my provider for assistance, it's truly a pleasant experience. I'm often connected with an associate within 30 seconds, and have never waited longer than two minutes. If I do need to wait (for perhaps a couple of minutes), I am kept updated on my position in their queue (no more waiting for what seems like forever!). I have found every associate to be extremely professional, polite, and genuinely interested in helping me. I believe a company can only survive on the quality of its customer support. BlueHost has a live demo feature, which really helped me to assess the available features. If you're looking to switch providers or start a new service, look no further than BlueHost! Yeah, sounds fantastic. But let's look at this a bit closer. One can promise just about anything on the Internet. But how does the company look when we dive into the user complaints and comments? Does BlueHost really hold up under our user-submitted review microscope? 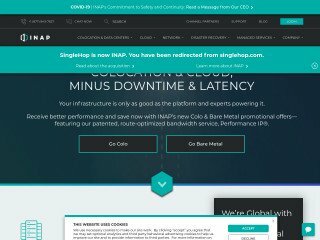 We’ve seen lots of other shared hosting providers falter a bit, or even outright stumble, in our previous articles, and we’re quite excited now to crack open the host and take a second look. Impolite: This is actually a new one for us. We’ve seen lots of complaints about other shared hosting providers in which you, the users, have complained about the reps’ ineptitude: But never before have we heard of an host being outright rude. It would appear that BlueHost reps sometimes have a problem with respecting the consumer, even encouraging them to take business elsewhere for trying to resolve a problem. To us, this is simply unacceptable, and we’re sorry to hear word of it emerging from the company. Automatic Renew: In another slightly off-color complaint, it appears that BlueHost suffers from what we like to call the sticky auto-renew button. It appears our users have had a bear of a time turning off the auto-renewal of their accounts, leading to many unwanted charges. This would not be such a problem, but it appears BlueHost is somewhat reticent to rescind these charges. Begging for Answers: Sadly, this is a complaint we see rather frequently in the world of shared web hosting. It appears that BlueHost is somewhat slow to respond to users with severe problems, requiring the user to continuously harass the host into giving them a straight answer or solution for their problems. We like to call this “begging for up-time.” But cute names aside, it’s still not a selling point, and we’re quite sad to hear reports of this emerging from BlueHost. Lack of Information: In terms of dealbreakers, this isn’t an huge one, but it’s still quite troubling. It appears the second largest complaint amongst our users against BlueHost’s technical support is a general lack of information. It appears the reps will often leave the user out of the loop, even while fixing their problem behind the scenes. This is a troubling way of doing things, especially when a site is not functioning—or worse, has disappeared entirely without a word or trace of where it’s gone. Unlimited Just Isn’t: We feel like putting up a billboard somewhere about this. With almost every shared hosting provider we’ve exposed, it appears that unlimited service complaints usually just aren’t. In most cases, the user stretches too far over the capabilities of the server, and is then slapped with an “unreasonable use” warning. This warning usually comes with an added fee, meaning all that free and unlimited space simply doesn’t exist. Sadly, BlueHost appears to fall trap to this failing as well, and though we understand the limits of physical hardware, we do want what we’re advertised.  Sudden Deactivations: In what we like to call the big-brother effect, it appears that BlueHost will, at random, deactivate your account claiming a violation of terms and conditions. The root cause? Based on what our users say, it’s very likely high traffic volume. We can’t say for sure, but there’s certainly something fishy going on here. Freezes: Oddly enough, we haven’t seen many complaints about a lack of up-time. Rather, we have seen complaints that the site will often freeze up, often for whole minutes at a time. Still, this is a leg and an half up from most other shared hosting providers, and we can’t say it’s entirely a deal breaker. So there you have it! It appears that BlueHost is, after all, quite a functional web hosting provider. Most of the complaints we’ve seen have been insignificant, and though there were a few quite disturbing issues, BlueHost may yet be as advertised for the most part. Nevertheless, we strongly encourage you to always check our recent user-submitted reviews before making a purchase, that way you know exactly what you’re getting yourself into. They’re a great source for anyone looking to find a competent web host, and they’ll keep you out of trouble further down the road. this particular company performed superb task in management from their service. They have actually performed their servers swiftly and also secure, whatever is actually functioning like a clock. Assistance individuals are readily available all night and day and may assist with any sort of also dumbest question. Incredibly polite. I am very satisfied therefore much with this corporation personnel. Having found GoDaddy slow for Wordpress was looking for options. Tried BlueHost and basically if you want to be completely frustrated and waste your time then use them. Their support looks like it is contracted out with people that are not very good. You ask a simple question and then you wait. Then you get told something either incorrect or misleading. Then when you query it they take ages to get back. Case in point free SSL, it wasn't enabled I asked how to get it switched on. Got directed to their marketplace to buy one. I queried the fact that it was asking me to pay to be told that they can enable a free one. Now the next pathetic response was it would take 4 hours to be activated. I don't remember having to deal with anything this bad, or maybe I am used to picking up the phone to GoDaddy to speak to someone who knows what they are talking about and gets it resolved immediately. Just as an update I had enough of them after being kicked out of the admin page and no longer able to connect. Account now cancelled hoping there won't be issues with getting the refund! I switched over from Network Solutions to BlueHost.Big mistake. They ran me around and ran me around and it took forever to switch providers. Once I did that, I was told I would get a website and a design with a 6 month support for $349.95. That was not the case. After a whole month of working on this and I mean it took all month, they said I would have to continue to pay $349.95 each month for 6 months or my site get's shut down. I called and complained and said that is not what I signed up for and the guy on the phone laughed in my face. I told him to go back and listen to the recorded phone call when I signed up for this. He said too bad I'm shutting your site down. NOT GOOD AT ALL. NOT HAPPY, wasted so much of my time and I got nothing but aggravation for this. I've been with bluehost several years as I used it to host my seeds to park the domains for my upcoming projects. I have several domains there about 50 of them. Last incident happened to me that i got hacked and 7 of them were stolen and moved to name.com. I contacted name.com and they replied promptly and they said to wait for bluehost's reply and they will cooperate to move them back. However, bluehost did not reply anything until I post a negative comment on twitter, 10 days later. 10 Days! Its an eternity for them to give a simple "hello, thank you for contacting us" reply. I strongly suggest for you guys to find a better place to host your domains, whatever reasons you are planning to, I think bluehost is NOT a reliable and safe place, its NOT worth it, at all and I advise you to stay away from them. Never again. When you see ‘Unlimited’ or ‘Unmetered’ - instead read “THROTTLED”. After a year of countless issues with slow server response and database connection errors, we finally reached the last straw after having our hosting account de-activated for purportedly being infected with ‘malware’. After hiring a third party developer to verify that our site was solely experiencing server issues, we migrated to a new host and have experienced ZERO errors. Also - know that the Site Backup Pro service is BROKEN, and does not allow you access to the back-ups that are included in the hosting plan. Support was more than willing to restore the back-ups for me, but REFUSED to give me copies, despite me providing multiple instances of documentation where I was promised and encouraged to download them to my computer. Probably because they knew I would be using the back-ups to escape their clutches. Other than that, Support is incompetent. SSL is buggy. Prepare for errors to pop up out of the blue. Beware Bluehost. Impossible to get my refund!! After spending years on my website, it suddenly started getting wiped. I was happily using Concrete5 to build my site. Bluehost, forced installed WordPress, without my permission. It overrode/wiped my site, and replaced it with a blank WordPress blog. I changed it back over and over, requested they stop doing it, but they kept doing it. They've obviously made a deal with WordPress, and are doing this on purpose. I can't use concrete5 anymore.. and get constant prompts to use WordPress instead. They also tried charging me for another site, one that I'd cancelled...twice. They still charged me for it. I had bluehost bill me two years in a row after I cancelled my account. When my card was billed a second time, I disputed the issue through my bank. My bank asked me to contact the merchant and see if we could resolve this without them. I made the call. The customer service person noted that my domain had expired more than a year ago but that she couldn't refund the payment because I had filed an active dispute. I figured I'd just let the dispute run its course - since customer service acknowledged the mistake, there shouldn't be an issue. I was wrong. Bluehost told my bank (USAA) that that I hadn't "properly cancelled my account within the agreed upon terms and conditions" and denied my refund. Let the buyer beware. I do not recommend bluehost at all. I had help by the tech people initially setting up the account and they put me for automatic renewal. I have not had my website or email for over 8 months and they charged me for another year!! $144.00 canadian. THEY set it up that way so be very careful as it is a sneaky way to get your money and how many people notice. Basically, I’m new in the field of SEO but as much as I have learned that, if we compare the other web hosting with blue hosting than blue hosting is amazing with every point of view. It is my personal experience. I have created a lot website and still I’m working on their and every time I’ve purchased web hosting from blue hosting. Here you can try and take the amazing web hosting with full discount. They blocked my account after I paid for 3 years without giving any proper explanation. The support says they can not help, "just send email and wait". It is practically cheating. Where to file complaint? Constant problems with the control panel. Disgusting support. "I am not customer service". Sales agent called me 6 hours before our appt so we weren't both available for the call as we had specified. I asked him to schedule an appt for later he said that he would only schedule it to discuss more services and that it wasn't going to be so that I could express how I believe I'm not getting their service as promised. Agent was rude and defensive. He raised his voice and when I pointed out his lack of good customer service he responded, "I am not customer service, I am sales". I ended the call at that point. If you really need a good technical support and reliability then don't use bluehost. They were completely irresponsible in my email disappeaing issue which they still can't identify how it is happening. All they will tell when they can't find the solution is the case is escalated to higher technicians. Then after 3 days no email regarding the solution and again we have to start over the process repeats, no solutions. What ever the settings how can emails be disappeared automatically and frequently. Bluehost can't be trusted for business people who deal with daily emails and follow ups. A year of my time was spent building and working on my website, and suddenly the entire website DISAPPEARED. There was no help available and it meant nothing to them. The year (and the money) I had spent developing all aspects of this marketing effort were lost in a heartbeat with no alternatives or anyone who even cared -- it was nothing to a technician at Bluehost -- business as usual. I have let all of the domains and the websites I have with them expire. Spend more time and money for what? AN INCAPABLE WEBHOST! DO NOT TRUST. don't wait for next day for your refund. They will have a different calculation on the next day. They will make you pay for their own mistake. Charge us 1 month for the same subscription we had after calling them way ahead of time to downgrade our subscription. On top of that if you want to refund from your disputed charges deal it the same day because if they tell you they left a note so when you call back again they will know what's going on in your account FLAT OUT LIE. The next person you will talk to will say that the other person you had talk to the other day was wrong and they did their math this suppose to be the charge. ( refund become more lesser than expected maybe if you call again on the next day your refund will become zero. Every person have their different calculation.) and they will tell you they don't know how that representative come up with the noted amount ( that's after 20 mins. Waiting ). As if we come up with the amount ourselves. They are the one who gives us the number and explain the reason and maybe accidentally told you about the mistake on their part. They have recorded voice calls how about hear that so we all are on the same page. I know it's just a penny the amount but we work hard for that. And we don't cut corners in every client we have and even we are small business we value customer and honor our word. That's impirtabt. You don't say your colleague have different calculation than you have. Bluehost India did not refund my money and Bluehost USA did not help. Bluehost India did not refund my money under 30 day refund policy. They said that since I had cancelled a plan 3 months ago, so cancelling another plan now is violating their terms and policy. They also said that I abused the system. They just don't want to refund the money hence they are giving false arguments. I contacted Bluehost US team but they said that this matter involved Bluehost India and hence they cannot help. This is total crap and totally wrong. They just don't want to refund the money. Please do not use Bluehost. I'm a Bluehost customer for 2 years now, the uptime of Bluehost shared hosting is really good, downtime is rare. The monthly hosting price is low if you can prepay for a 24-36 billing cycle. Overall, Bluehost is a good host with a really high uptime at a low cost. When searching for bluehost review, I landed on *** but it didn't had enough details. But I finally landed here and got to know so much info from different users. The actual reviews are very important.